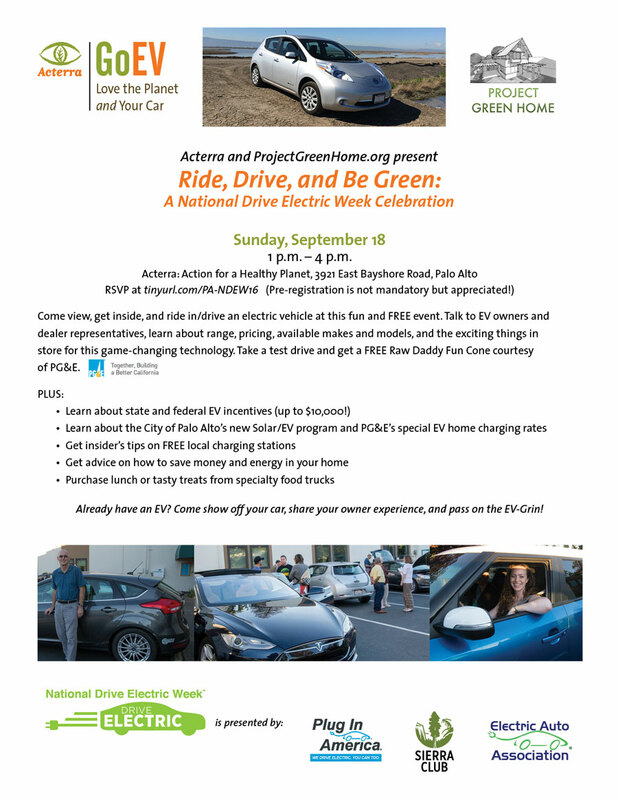 On Sunday, September 18, Acterra and ProjectGreenHome.org hosted a festive gathering of electric vehicles, exhibitors, EV enthusiasts, and prospective owners in celebration of National Drive Electric Week. Attendees had the opportunity to view popular brands in a fun, no-pressure environment, talk to EV experts, and discover the “delightful driving experience” first-hand by test driving various models. 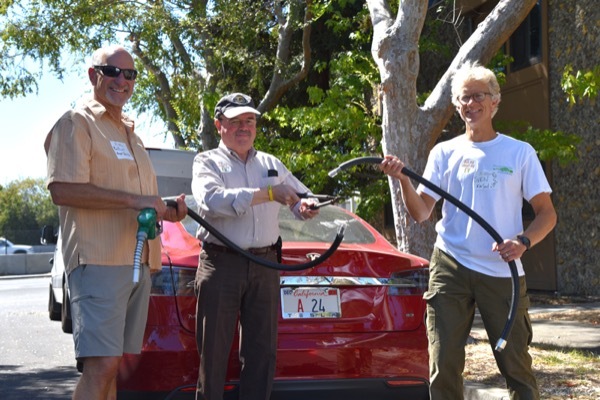 Palo Alto Mayor Pat Burt and Assemblymember Rich Gordon joined in the fun by demonstrating how to “cut the gasoline cord.” By the end of the day, a total of 210 demo rides were provided, and all participants went home with an EV grin. Electric vehicle adoption is integral to shifting from fossil fuels to a renewable energy economy. 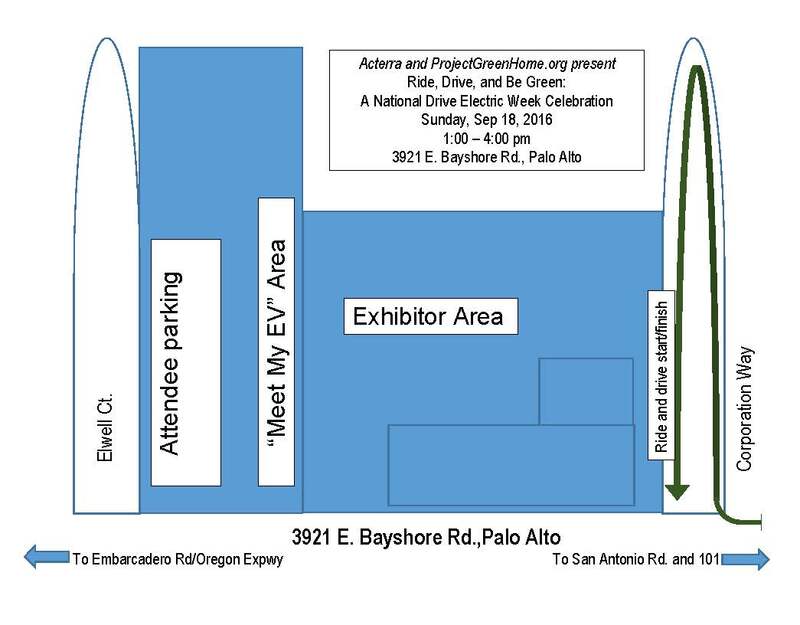 Through hands-on events such as these, more individuals can visualize an electric vehicle in their future. Thanks to all the EV trailblazers who are helping make this future possible! There are currently 249 attendees registered. Registered attendees report 832,338 electric miles driven.